Thailand has been a backpacking hotspot for years, and although the country has tourism from all forms of travellers, it still has its original backpacking roots. Normally, if you're backpacking Southeast Asia, Thailand will be the first stop. Well you'll be glad to know it stays warm and humid in Thailand all year round. It's peak season from December to February however even in the wet season it's still warm, especially compared to European weather! As you may know already Bangkok is the capital of Thailand and normally the first port of call for Backpackers. Bangkok is one of the best cities in the world but it is hectic and 'in your face' so be wary of that. 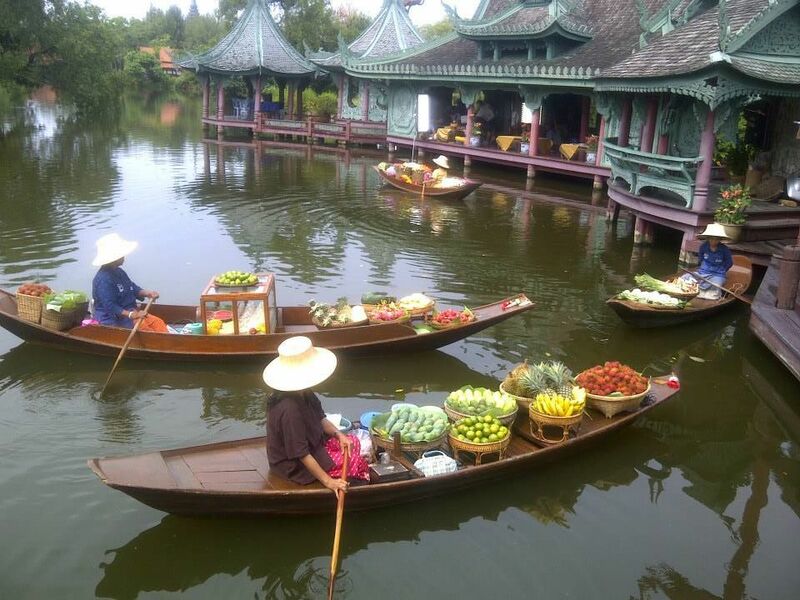 Still enjoy amazing Thai and western culture here, amazing food and different districts to enjoy! The main reason people Thailand is because of the idyllic islands! 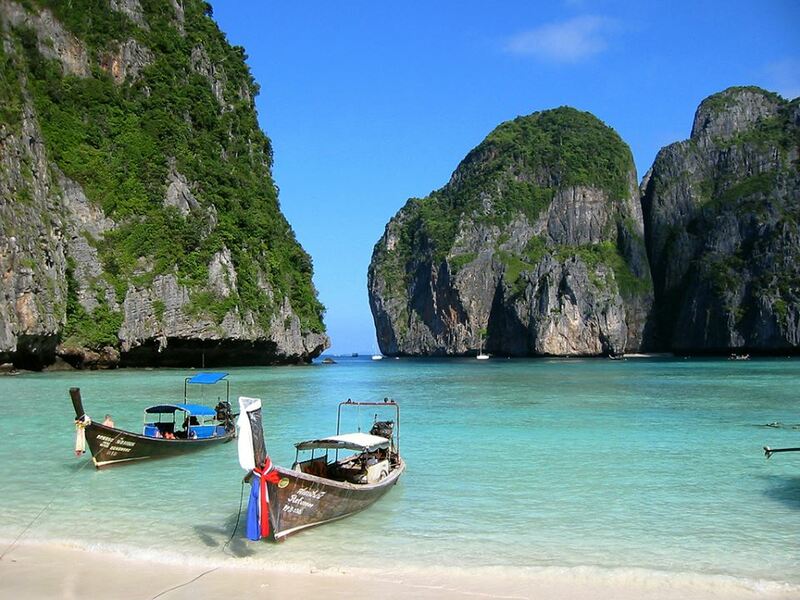 Head south to these with popular backpacker islands such as Koh ( means island ) Phi Phi, Tao, Phangan and Samui! Many people agree that the north is real Thailand. Why? Because it has the most authentic culture, lush verdant, a countryside and rural setting and less touristy than other parts of Thailand. Chaing Mai, Chiang Rai and Pai are Must visits here. If you like waterfalls, temples and jungle then you'll love it in North Thailand! Buddhism is Thai religion and you'll see that with many statues, relics and monuments here. Live in the moment and forget the past and don't worry about the future is a key message Buddhism tries to evoke. A peaceful religion too, it's important to respect the religion in Thailand. Sadly last year the King Bhumibol Adulyadej, the previous King of Thailand passed away. He was much loved and one of the longest monarchs in the world. Tradition and respect insists that a years mourning takes place, so be aware of this when visiting shrines of the King. Many locals are still paying their respects, with many dressed all in black. Thai food is arguably some of the best in the world and in Thailand some of the best chefs are from here. You must try the food when in Thailand wth plenty of curries, noodles and salads created with authentic Thai style available. 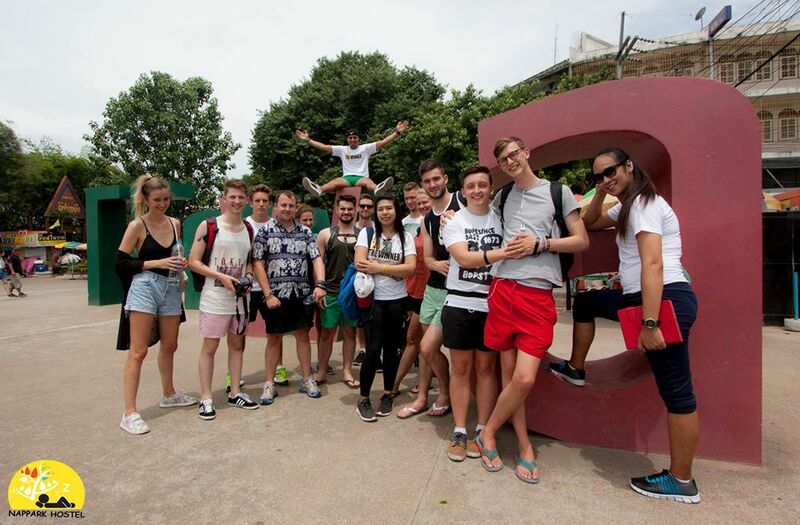 The weather is hot for many foreign backpackers so don't worry about bringing lots of change of clothes here. Plus there are markets and shops you can find items cheap if you need. Thailand has some of the best medical facilities and healthcare in the world. There are many top pharmacist and hospitals available so don't worry if you need help. There are so many methods of transport in Thailand such as buses, coaches, minibuses trains, boats, taxis, motor taxis and Unique to Thailand, the tuk-tuk. You won't be the only traveller backpacking Thailand. 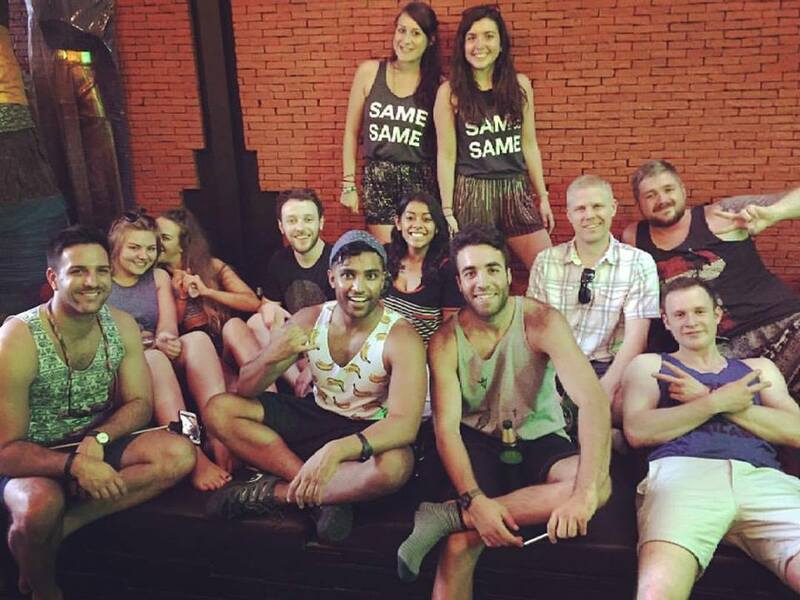 There are many backpackers here just like you, so it's easy to find and make new friends. As long as you stay in social areas or hostels, or even use travel apps nowadays in popular areas, you will always meet fellow travellers and backpackers.